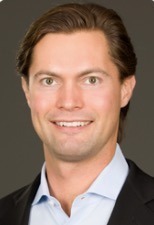 John Fogelsong joined Glynn Capital in 2011 and focuses on investments in enterprise software, security, and alternative financial services. Prior to joining Glynn, John was the Co-Founder and CEO of WearIt, an online marketing company that helped 1,600 merchant partners develop niche e-commerce websites. He began his career on the marketing team at Zazzle.com, where he managed customer acquisition and retention. He received his undergraduate degree with honors in Computer Science from Stanford University where he earned the Terman Engineering Award for graduating in the top five percent of the engineering class. John was also a member of Tau Beta Pi, the engineering honors society. He subsequently received his MBA from the Stanford University Graduate School of Business.